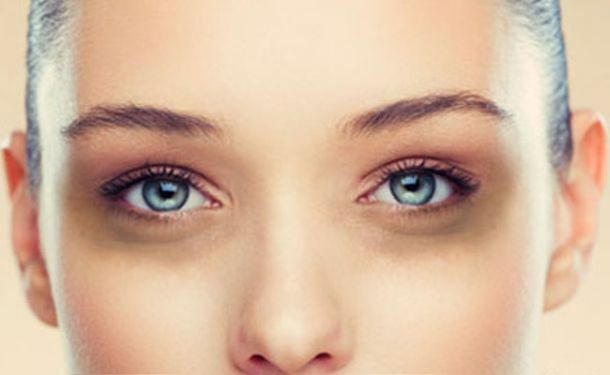 Do you suffer from dark circles under your eyes that make you look older? Sick of people constantly saying you look tired? Dark circles are a common problem. It’s best to fight dark circles in whatever way possible! Perhaps it’s time to try these do-it-yourself remedies for dark under-eye circles! Read on to know how to use them and reap their varied benefits. What Causes Dark Circles Around The Eyes? Apply a little amount of almond oil on the dark circles and gently massage it into the skin. Leave it on overnight and wash it off the next morning. Aloevera Gel — Aloe vera soothes the skin and hydrates it. Its nourishing properties reduce the pigmentation under the eye and make the sensitive skin in that area healthier. Apply the gel under the eyes and massage for a few seconds. Leave it on for about 10-12 minutes. Wash with warm water. Cucumber — Cucumbers have cooling as well as astringent properties and hence they are widely used to treat dark circles. They can lighten the color of the skin, increase blood flow and reduce puffiness. Rose water — contains properties which have a soothing effect and lighten dark circles. It has antioxidants strengthen skin cells, regenerate tissue, and rejuvenate skin. It has antibacterial and anti-inflammatory properties that protect your eye from contamination’s, redness, dust, itchiness, and inflammation. Soak a few drops of rose water on two cotton pads for 2 – 3 minutes. Apply to the affected area for 15 minutes. Repeat twice daily until results are visible. Dip cotton in apple cider vinegar and apply it under the eyes. Wash off with warm water after 15 minutes. Coconut Oil — The nourishing and moisturizing properties of coconut oil promote the skin’s health. This, in turn, reduces dark circles. Pat the oil on the skin under your eyes. Massage very gently in clockwise and anti-clockwise motions a few times. Leave it on overnight. Castor Oil — Castor oil softens and conditions the skin. It rejuvenates the dull skin under the eyes, thus reducing dark circles and wrinkles. Apply castor oil under the eyes and leave it on overnight. Green Tea — Dark circles are caused when the blood vessels under the eyes are dilated. Green tea helps in reducing this as it contains tannins that have astringent properties. They constrict these dilated blood vessels and capillaries and help reduce the appearance of dark circles. Your eyes will feel refreshed after using this remedy. Honey — Honey is a powerhouse of antioxidants and nourishing components. It softens the skin and also provides it with the ‘skin food’ that it needs. Your dark circles will go away in no time. Apply a thin layer of this on the under eye area. Leave it on for 15-20 minutes and then rinse. Baking Soda — Baking soda has skin soothing and skin lightening properties. Its anti-inflammatory properties will help to improve the blood circulation under the eyes. Carefully apply the lemon juice under the eyes with the help of the cotton swab. Leave it on for 10 minutes and then wash it off. Crush the mint leaves and mix them with a few drops of water till you get a smooth paste. Apply this paste under your eyes and leave it on for about 10 minutes. Wash with cold water. Take the cotton ball and dip it in the bowl of cold milk. Now, place the cotton ball on your eyes, making sure it covers the affected area completely. Keep it on for about 15 minutes, after which you can wash off with regular water. Olive Oil — Olive oil is rich in a lot of healthy compounds that possess antioxidant and anti-inflammatory properties. Hence, its application will keep the under-eye skin healthy. It also contains healthy fatty acids that provide the hydration and nourishment that the sensitive skin under the eyes needs. Massage the oil in circular motions around the eyes for a minute or two with your ring finger. Leave it on overnight. Potato Juice — Potatoes contain enzymes, starch, and vitamin C – all of which nourish the skin around the eyes and help treat dark circles. Soak two cotton balls in the potato juice. Place the cotton balls on the dark circles, ensuring that they cover the affected area entirely. Leave them on for 10 minutes. Then, remove and wash your eyes with cold water. Mix the turmeric with the almond oil. Massage the under eye area with this mixture for a minute and then leave it on for 20 minutes. You can rinse with water or use a soft tissue to wipe it off. Butter Milk — Buttermilk has lactic acid and probiotics that helps cure discoloration under the eyes. Mix 2 teaspoons of buttermilk and 1/4 teaspoon of turmeric powder in a small bowl. Apply to the affected area. Leave for 15 – 25 minutes or until dry. Rinse with lukewarm water and pat dry. Sleep 7 – 8 nightly to reduce dark circles and for better health. Exercise daily using yoga, meditation, and deep breathing for proper blood circulation, better sleep, and reduced stress. Avoid facial masks under and around your eyes. Apply moisturizer before bed for added hydration. Drink 8 – 10 cups of water daily to avoid dehydration. Eat plenty of fresh fruits, vegetables, yogurt, sprouts, salads, skimmed milk, paneer, unprocessed cereals, lentils and beans to avoid nutritional deficiency. I got what you mean,saved to bookmarks, very nice website. Informative article. Home remedies is effective and useful to get rid of dark circle under eyes fast. Just make sure that you regularly follow the remedies to get the desired results within a shorter time span. Thanks for sharing.